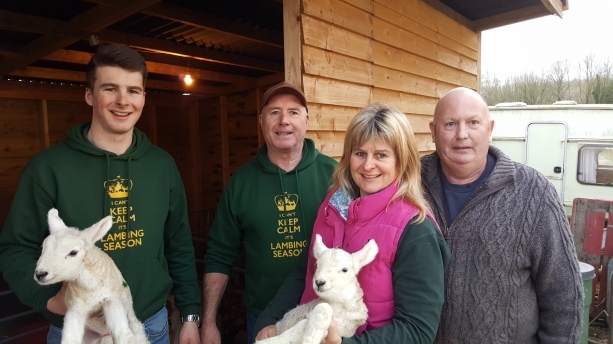 Mothering Sunday, 11th March 2018 was the annual opening of Smiths Hill Farm on Hunt Street for their Lambing Day from 10am until 4pm. This year Geoff, Candy and Oli had 2 cows in the pens, 3 horses in the stables, chickens in the coup as well as many sheep either heavily pregnant or nursing young lambs. 1 lamb had been born at 2am that morning and a further 2 came in the afternoon. There were 3 sets of triplets with 2 lambs being fostered by other sheep who only had one lamb. A hot dog stand was run by Larry Johnston, a former parish councillor and Mick Merritt sold beautifully crafted wooden bowls and vases from various kind of wood. In total, £1,000 was raised for parish funds. Many thanks once again to all involved for a memorable, informative and enyoyable day.